Elias Neocleous & Co. LLC is proud to be the sponsor of this upcoming event chaired by the European Branch of IBSA – the INTERNATIONAL BUSINESS STRUCTURING ASSOCIATION. 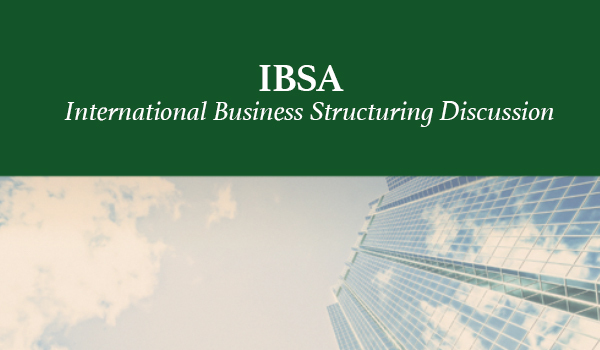 Founded in 2014, IBSA is a diverse global association for entrepreneurs and professional advisors dedicated to sharing expertise, collaboration and networking opportunities. IBSA is a not-for-profit association which has created a ‘ club-like ‘ community for the benefit of its members around the world. The discussion will focus on the major shifts in international business structuring on substance requirements and new stipulations under the Multilateral Instrument (MLI) as well as the fast coming changes in international tax law. Keynote speakers include Roy Sanders of IFS CONSULTANTS, Spyros Ioannou of LIS PRIMUS AUDIT & TAX, Richard Melton of VISTA and Stefan Nolte of SHAND CONSULT LTD. The discussion will be held at Neocleous House on the 14th May 2019 between 18.00 – 20.00 and entrance is free.